An Artist Grows Into His Talent: Revisiting Sinatra's Radio Years "It's these fresh vocal cords that haven't been abused yet, broken in yet." Susan Stamberg dives into Frank Sinatra: A Voice on Air, a box set of rare radio broadcasts. 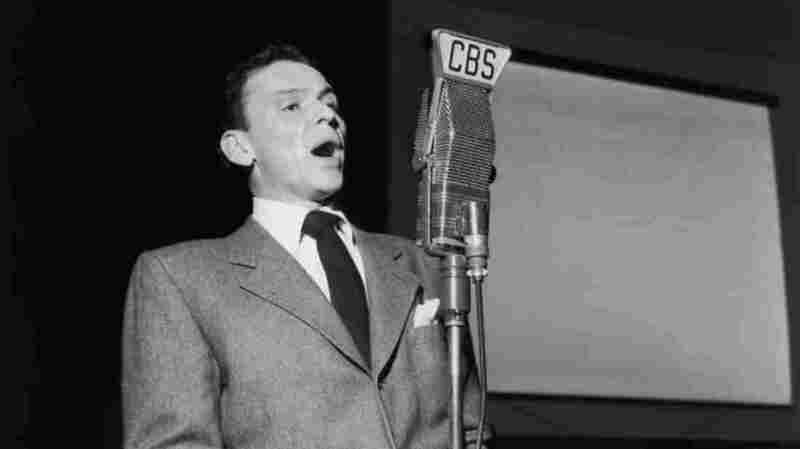 Frank Sinatra in 1947, during a Songs by Sinatra radio broadcast at CBS Radio in New York City. Nancy Sinatra has said some of her best childhood memories are of listening to her father over the air. His radio shows, from the beginning of his career through the 1950s, brought him home in her mind while he was away singing in clubs and ballrooms. For the rest of the nation, however, those broadcasts went beyond sentimental: They're what made Frank Sinatra a star. In honor of Sinatra's 100th birthday next month, those rare radio appearances are now out in a box set titled Frank Sinatra: A Voice on Air (1935-1955). NPR special correspondent Susan Stamberg spoke with the set's producer to find out what it reveals about an artist growing into his talent — beginning with the days well before the screaming teenagers and the buttercream voice. Hear her report at the audio link.